We made this silly turtle burger using Morning Star veggie burgers, 1 burger bun, lettuce, cheese, ketchup, pickle, and edible eyes. We made our veggie burgers and put it on the bun. Put ketchup, cheese, or whatever else you like then add the top bun. Put lettuce on top of that. Cut pieces off of the pickle for the head and legs. Slice 1 pickle and add that to the top of the lettuce. 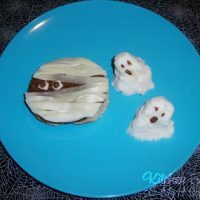 We added edible eyes, but you could use a cut up raisin. Such a easy burger to make and this actually got my then 4 year old to eat lettuce on his burger for the first time. He thought it was cool to eat the shell! 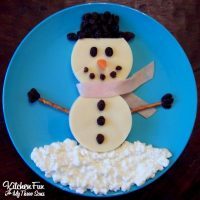 « Previous PostWinnie the Pooh Pancakes! What ever it takes to get kids to eat I will try. I am totally in love with this idea! Thank you!! My son LOVES turtles. I'm gonna have to use this idea for one of our fun Friday lunches. So cute. this is hillarious. I love it. so cute. I was worried about the bun until I realized that it was a lettuce leaf! Jill, this is hysterical – I love it! This is totally cute! Great job! THANK YOU so much for sharing your recipes with me at Cast Party Wednesday. I'd like to invite you back this week. This is so cute and still looks so yummy! I'd love it if you would add your turtle to my new link party, Pinterest Tuesday. 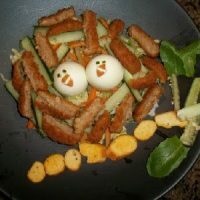 I think other moms would love to pin your adorable recipe! wow this is so cute. what great ideas. Visiting from I Heart Naptime. I LOVE this turtle! It is so cute! 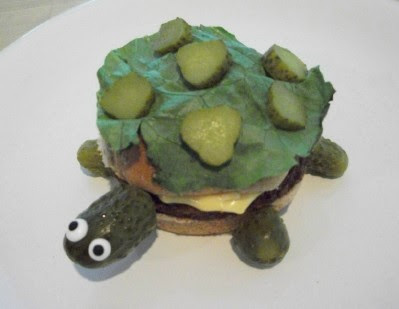 Doesn't get much cuter than a Turtle Burger! So cute! I'm pinning this to make sometime with my youngest daughter who LOVES turtles! She will love it. Thanks! This is so cute!! Would be perfect for when we are on vacation. There are always turtle nests (that we have to stay away from) and this would be fun for my little ones! !